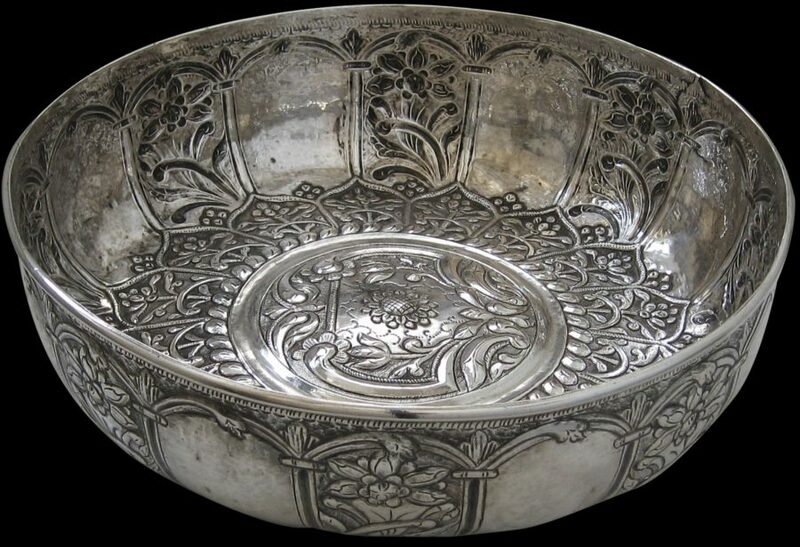 This beautiful silver hamam bowl is repoussed with a large, slightly raised central roundel decorated with foliage and floral work, surrounded by a wide border of lotus petals filled with Ottoman-style flower motifs. 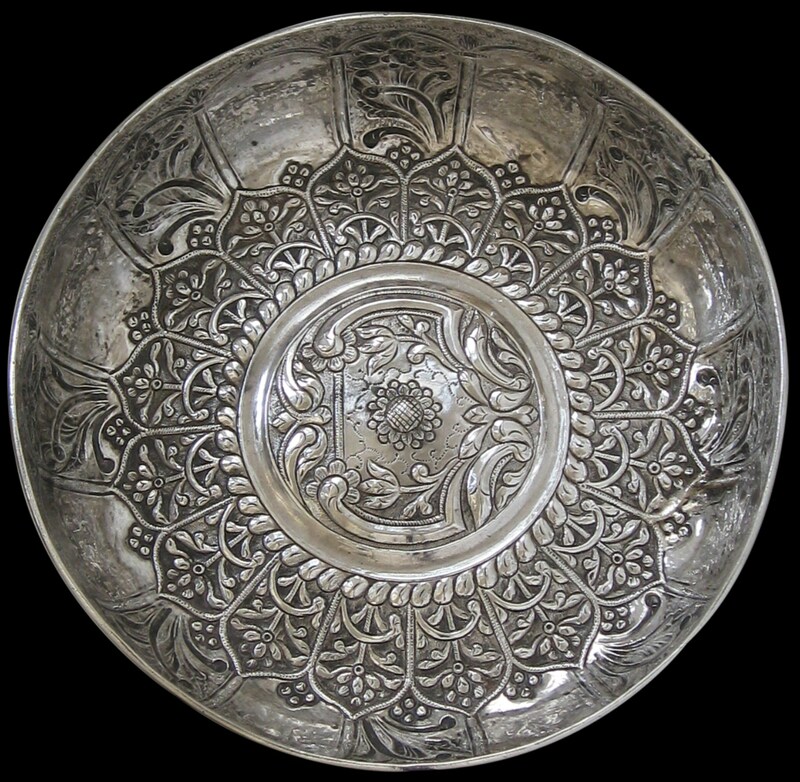 The exterior is decorated with a series of mihrabs with each alternate one being infilled by more Ottoman-style flower motifs. 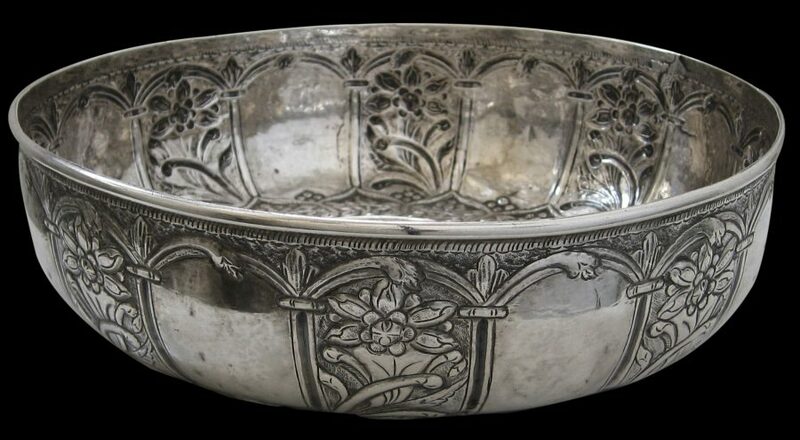 The use of a lotus design in the base of this bowl is particularly overt and demonstrates the influence of the Silk Road trading routes that brought eastern designs and motifs from China and East Asia to central Asia. Traditionally, silver bowls such as these were used by the wealthy when dousing themselves with cool water in the hamam or traditional Turkish steam bath. The bowl is unmarked and most probably comes from the Anatolian region of Turkey.